He suggested that unwanted and orphan babies could be “repurposed” as a food supply. His rationale included statistics of his time on overpopulation, lack of adequate food supply, and the cost of meat. He summarized that, while uncomfortable, the benefits of his proposal outweighed the downside. If one takes a comparative view on the current state of the hedge fund society, it might jumpstart a conversation about difficult changes needed for a healthier investment sector. 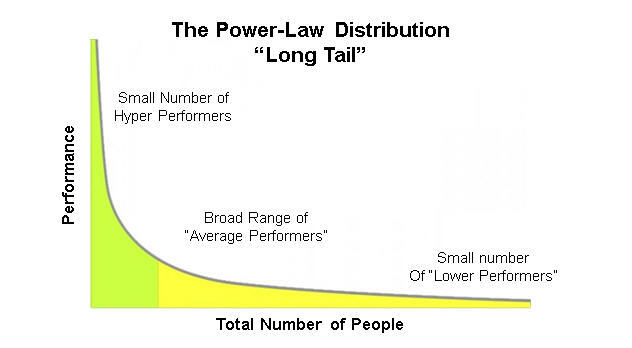 A “Power Law” distribution is also known as a “long tail.” It indicates that people are not normally distributed. In this statistical model there are a small number of people who are “hyper high performers,” a broad swath of people who are “good performers” and a smaller number of people who are “low performers.” It essentially accounts for a much wider variation in performance among the sample. It has very different characteristics than the Bell Curve. In the Power Curve, most people fall below the mean (slightly). Roughly 10-15% of the population are above the average (often far above the average), a large population are slightly below average, and a small group are far below average. So the concept of “average” becomes meaningless. 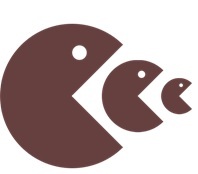 If we return to our earlier assumption that the overpopulated hedge fund industry has been an aggregate lackluster performer, and that this universe comprises approximately 14,000 funds, then roughly 250 or so funds existing today are providing substantial benefits to their partners. This ‘power group’ generates performance regardless of what fees are being charged, what segments of the market they exploit, and what current regulations are burdening them. An ability to replicate solid results over time and with varying amounts of assets under management. If we further agree that the 250 ‘stars’ are the hedge funds worth focusing on, and we return to the initial comparison to Jonathan Swift’s ‘A Modest Proposal,’ then the obvious corollary to draw is that perhaps 12,000 existing hedge funds should either cease to exist or content themselves with being discrete investment strategies serving the specific needs of their core partners. In other words, these 12,000 funds should depopulate the hedge fund universe and allow the ‘stars,’ or true performers, to be found and tracked by investors. If the alternative investment advisors and consultants who evaluate this universe were to construct some metrics by which to isolate these stars more easily, it seems that there would be a highly motivated group of alternative asset investors eager to partake of these ‘power curve’ players. And while it might appear dire to wish roughly 80% of the hedge fund universe to expire or at least function more privately, the comparison to Swift’s modest proposal suggests a healthier long-term outlook in this alternative asset segment of investment management. Diane Harrison is principal and owner of Panegyric Marketing, a strategic marketing communications firm founded in 2002 specializing in alternative assets. She has over 25 years’ of expertise in hedge fund and private equity marketing, investor relations, articles, white papers, blog posts, and other thought leadership deliverables. In 2016, Panegyric Marketing has been shortlisted for Family Wealth Report’s Outstanding Contribution to Wealth Management Thought Leadership and received AI Hedge Fund’s Outstanding Contribution to Wealth Management Thought Leadership, M&A’s Excellence in Financial Services Marketing Communications – USA , AI’s Innovation in Alternatives 2016, Wealth & Finance International’s Best In Funds 2016 – US and their Women in Wealth Awards Best Financial Services Marketing Company – New York, and Investor Review’s 2016 Fund Elite Award’s Most Innovative Financial Services Marketing Firm USA . A published author and speaker, Ms. Harrison’s work has appeared in many industry publications, both in print and on-line. Contact: dharrison@panegyricmarketing.com or visit www.panegyricmarketing.com.